Ships from and sold by AustraliaBooks4u. I enjoyed this book because it didn't assume you were a botanist, but explained things in a way that answered my questions and yet wasn't too simple. 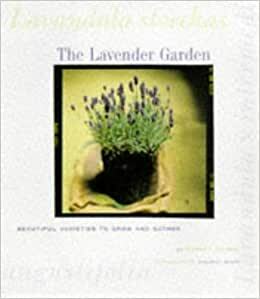 Compared to the several other of the Lavender books that I have purchased I felt that this one was the most complete, it had a nice breakdown of the lavenders and good sections on growing. It is a book of substance and readability. My advice is that if you want a book to get you started and only want to buy one book, get this one. 5.0 out of 5 starsExactly what I ordered and expected. My wife loves lavenders. What more can I say. Quick shipment. AAA seller. I bought this book to give as a gift. I TV is a lovely book for anyone wanting to know more about lavender, & how to grow it. It was a well-received addition to my friend's personal library! !